Since the publication of ‘A child called “it”’ by Dave Pelzer there hasn’t been a story like this. But this is not just another harrowing story about an excruciating childhood and the ravages on a life it produces. The difference is that Mez not only escaped from his ‘trial by parent’ but he discovered a hope that has transformed his life. He in turn has helped others find hope in their lives. 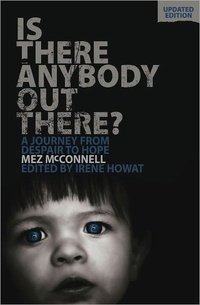 Mez’s story is told with a frankness and wit that hides much of the pain and despair that was his everyday experience. Nevertheless, although his story at times may sicken you, his first brushes with the faith that restored him will make you laugh out loud! Mez’s life involved abuse, violence, drugs, thieving and prison—but you don’t have to fall as far as him in order to climb out of the traps in your life. Do you like happy endings? Mez still suffers from his experiences but you’ll be amazed at how far you can be restored from such a beginning.